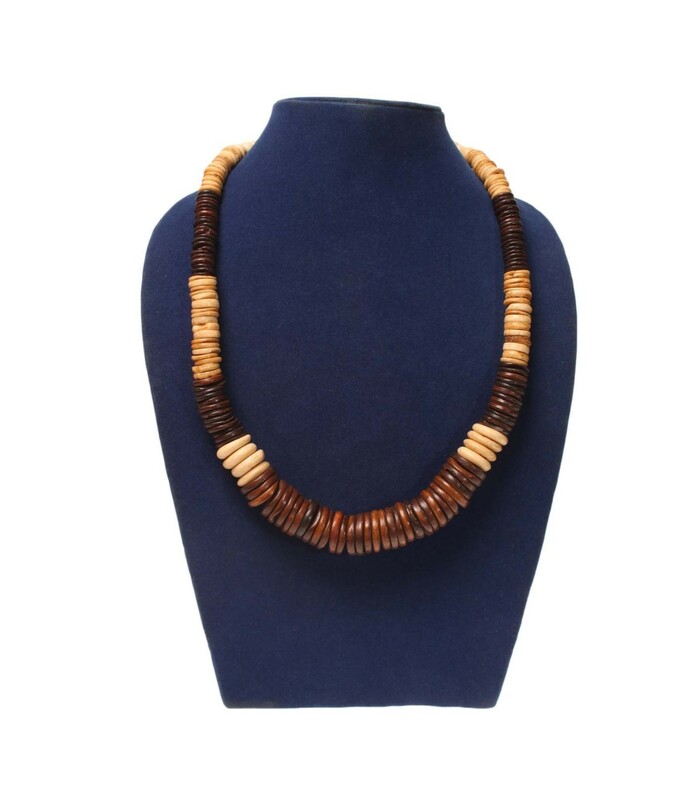 Contemporary necklace with ethnic vibe. 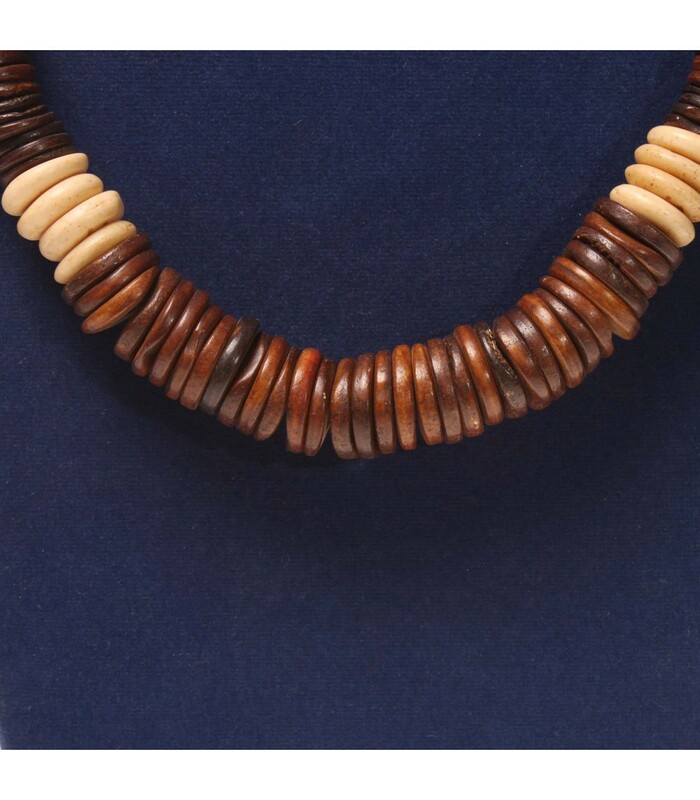 Different colour and different size bone chips are stacked harmoniously together, tightly forming an oval shape. 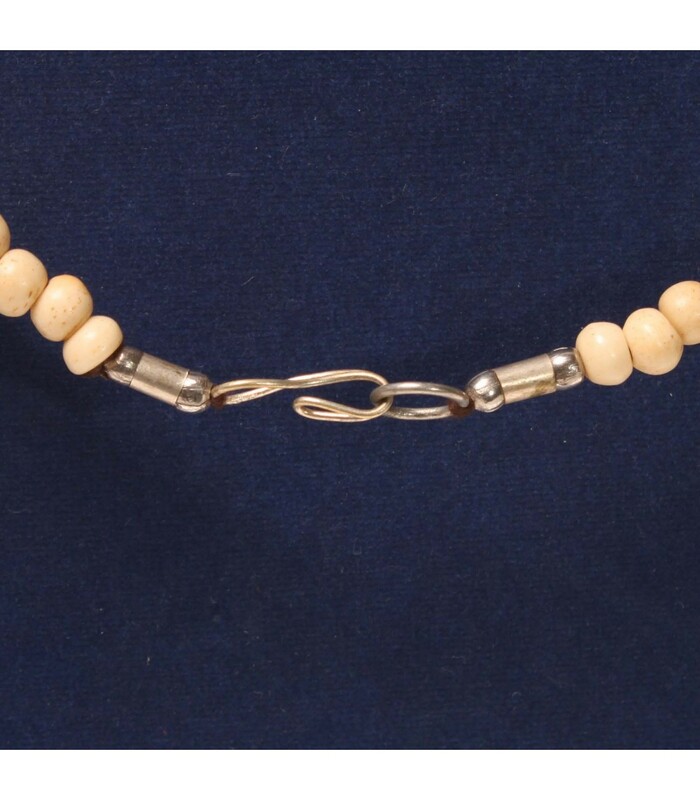 The necklace is made up of bone and is hand carved. It is secured with hook and eye closure.